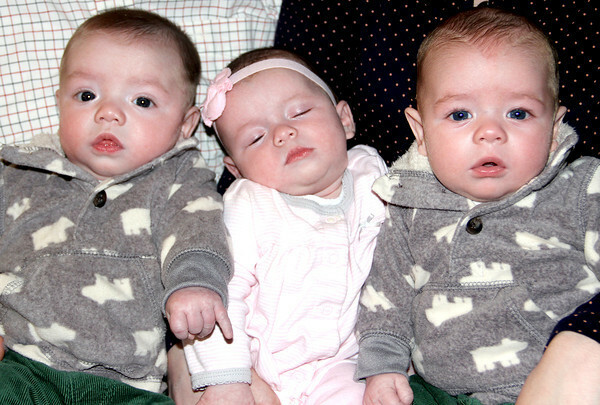 Triplets were born on Labor Day to Jennifer and Scott Sporleder of Farina. Jennifer graduated from Effingham High School in 2005. From left are Leighton, Lillian and Tanner.